The Beer Store, a non-profit cooperative owned by 34 Ontario-based brewers, is the primary distributor of beer in Ontario and the Western Provinces. 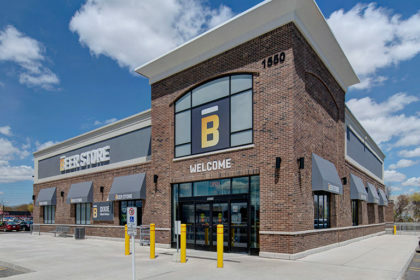 Ninety years after the first warehouse opened, The Beer Store oversees the operations of over 7,700 employees across Canada and more than 450 retail outlets. Communications are paramount to successfully connecting all the moving parts of an ever-changing, ever-growing enterprise. The Beer Store had a legacy hosted Exchange environment for messaging and a third-party archiving solution which was not meeting the growing business needs for better and more modern toolsets. For The Beer Store, it became obvious that they were ready for a major digital transformation. The Beer Store recognized that they were not able to provide the level of services required to effectively manage corporate communications and improve IT operational efficiencies. They also required better security tools for protecting corporate data and IP. Furthermore, to attract the millennials entering the workforce, they required modern devices and greater mobility access to empower employees to work together from anywhere at any time. Prior to the implementation of Microsoft Office 365 Enterprise and Itergy’s managed services, The Beer Store’s siloed applications were negatively impacting employee communications and productivity. By replacing their legacy system with Microsoft Office 365 Enterprise, they got the technology they needed to improve productivity and standardize their corporate communication platform email. Employees now have modern and secure tools they need to work effectively in teams. The OneDrive functionality of Office 365 allows for sharing information among team members and with Brewers’ Distributor Limited (BDL), an associated company that services the western provinces and northern territories in Canada. Performance issues are a thing of the past, and updates and patching are no longer necessary because Itergy’s Office 365 Managed Services takes care of all that. The all-important cloud-based messaging and collaboration environment provides better tools for corporate compliance and security. It puts corporate information at everyone’s fingertips. The Beer Store has also realized significant cost savings. After an initial start-up cost, the managed services model has resulted in an average annual reduction of 44% on the cost of running their corporate messaging and collaboration tools.